Not only are centrifuges a key component of any laboratory, they can be quite expensive, meaning you want to do your research before you decide to invest in one. Our experts at Pipette.com know the ins and outs of centrifuges and with our variety of quality Eppendorf products, we’re sure that you’ll find something that suits your laboratory’s needs. Take a look at the basics of these research tools below to ensure you select the right Eppendorf centrifuge for your laboratory. There are a few basic questions to ask yourself right off the bat to narrow down your choice including: What applications will my centrifuge be used for? How many tubes or samples do I use per day and shift? What types of rotors do I need? How many people will be using the centrifuge? Answering the above questions will get you started on the right path, but its not over yet. Take a look at some of the different kinds of centrifuge characteristics below to narrow down your choices even more. There are several kinds of centrifuge models. The best type for you will ultimately come down to your budget, available space and performance requirements. Whereas standard benchtop models are best for high-speed sample, other benchtop models, including the micro-centrifuge, offer a great deal more flexibility, convenience and cost-effectiveness. After choosing the type of benchtop centrifuge model, there are many different choices within each of these categories that offer their own benefits. For example, for those using benchtop models looking to do DNA work, your best bet is to invest in a microcentrifuge for its compact design and convenience. Our Eppendorf microcentrifuges are some of the best on the market and are guaranteed to provide you with the highest of quality. 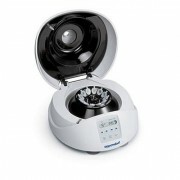 Our Eppendorf microcentrifuge products span all aspects of science – from our Eppendorf Vacufuge, ideal for the vacuum concentration of samples such as proteins, nucleotides and DNA/RNA, to the standard Eppendorf 5702, designed for low to mid throughput labs, our selection offers something for everyone. With over 150 Eppendorf centrifuges on offer, we’re sure that you’ll find a product that can give your lab what it needs. 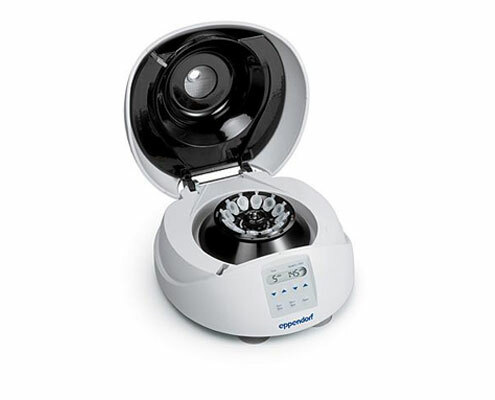 Take a look at our centrifuges section and explore our high quality selection of Eppendorf products. 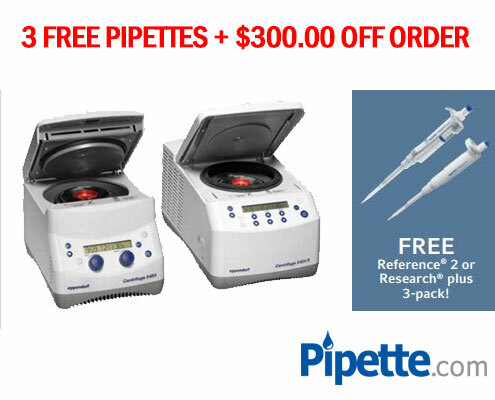 If you buy an Eppendorf Centrifuge 5424/5424 R today, you’ll even get a free 3-pack of pipettes and $300 OFF your order.